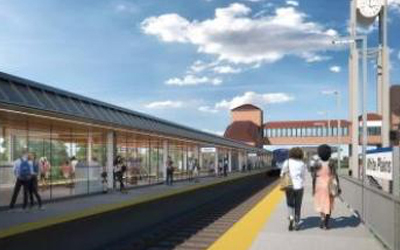 Description: This $91.5 million design-build project by Halmar International will bring state-of-the-art enhancements to five stations, including Riverdale. The improvements include new signage, platforms, energy efficient LED lighting, benches with USB chargers, station dashboards and totems to provide convenient access to information, updates to restrooms, Wi-Fi and cellular connectivity. Fenagh prepared welding procedure reports ensuring proper welding is being performed on this project.